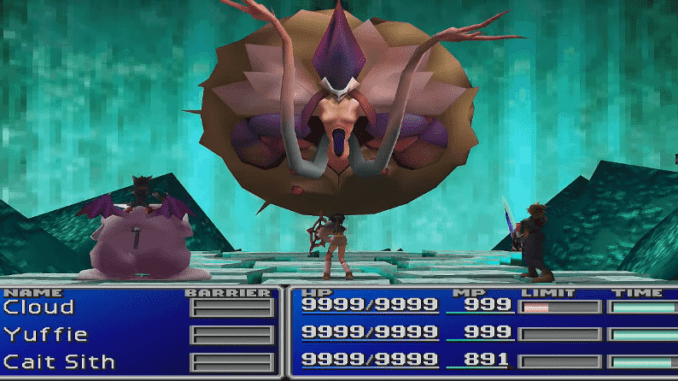 A boss guide for Jenova SYNTHESIS in Final Fantasy (VII,) including boss stats, attacks, and strategies on defeating it. Slaps one party member with a tentacle. May inflict Fury on the target. Jenova casts Bio2 and deals magic damage to all opponents. May inflict Poison to one or more party members. The tentacles may either inflict Stop, Silence, or Absorb to one or all opponents. The boss will start a countdown that casts Ultima if it reaches zero. The spells deals heavy damage to all party members. When the fight starts, set up Big Guard and use all of your high damage summons and enemy skills. Focus your attacks on the boss’ two tentacles before attacking its main body. 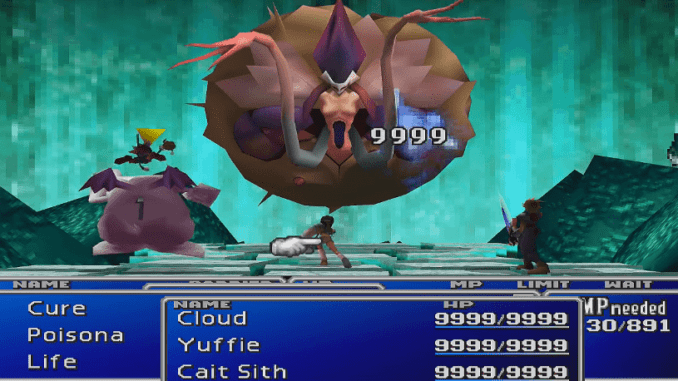 When it is low on HP, the boss will start counting down to Ultima, its most powerful attack. The battle will end if you manage to survive this attack. If you have the Double Cut Materia, master it to be able to perform a 4x-Cut to deal devastating physical damage.